BI4ALL is a leader in consulting services with expertise in Analytics, Big Data, Data Science, Artificial Intelligence, Data Visualizations, CPM and Software Engineering. Through a unique experience and extensive knowledge of the various business sectors and functions, BI4ALL helps organizations of all sizes thrive and improve the way their business operates. 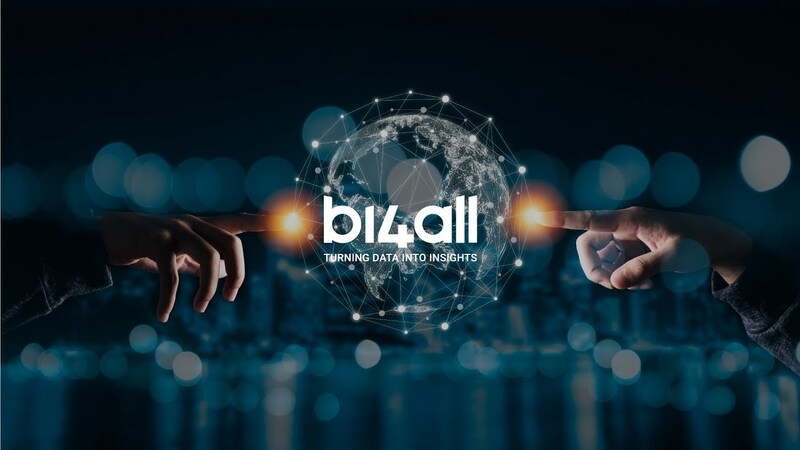 Since 2004, BI4ALL has been totally focused on the success of its clients and we share with them a knowledge of excellence in both technology and business components, allowing organizations to have competitive advantages by turning their data into insights. We have developed an extensive experience in responding to the specific set of challenges and business requirements of different industries. We understand the needs of our customers and add real value to organizations through the expertise and mastery of powerful solutions that enable them to have a competitive advantage by consolidating data from different sources of information into a single vision, providing valuable metrics by turning data into insights. BI4ALL has already been recognized with more than 20 national and international awards and has more than 200 employees, entirely focused on Data Analytics, which are part of a growing structure. At BI4ALL we pride ourselves on a strong track record of successful implementation and this is reflected in the clients who have worked with us over the years. The BI4ALL team is our most valuable asset and window into the World. We work with the best talent and all our consultants are continuously certified in key technologies and specialize in management, data analysis and dashboards to ensure ease of use and a great look and feel. Our employees also know several languages ​​to respond to the main regions of the world. Provide powerful technologies to bridge the gap between the goals of our customers and the solutions needed to realize them. BI4ALL positions itself as a driver of change in organizations. Our business knowledge and the constant improvement in the information technologies allow us to offer our clients a highly specialized service, continuously improving a series of integrated methodologies and solutions aimed at excellence.